Think downriver Detroit, and what usually comes to mind is heavy industry. 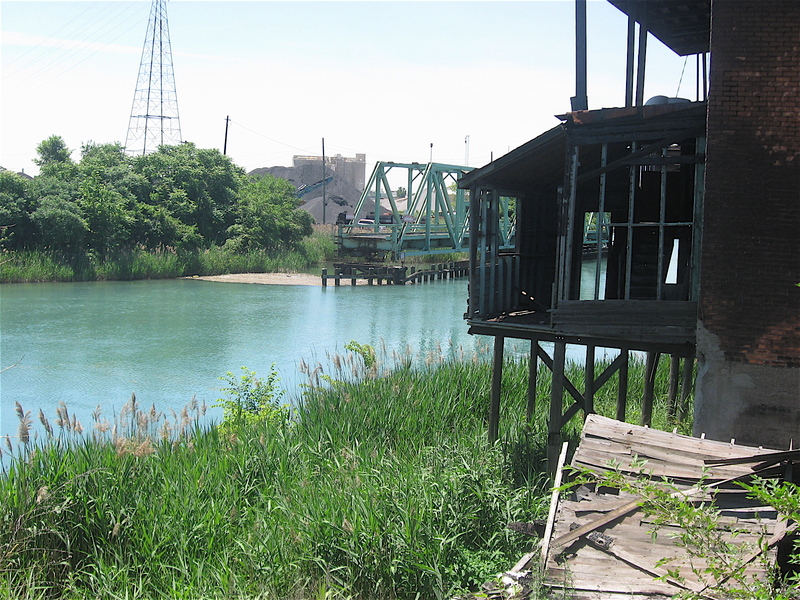 It’s an area of the city where the Detroit and Rouge Rivers meet. 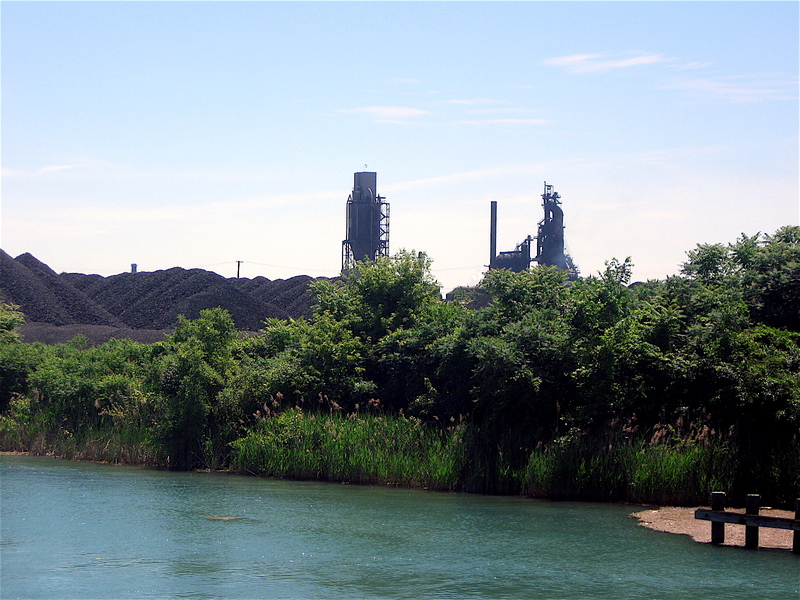 Smoke stacks from companies, such as U.S. Steel on Zug Island, line West Jefferson. The mighty smoke stacks and other industrial structures can be seen from miles away, standing tall, much like tombstones in a cemetery. Freighters full of iron ore, coal, and other industrial materials slip into special unloading areas along the Rouge or Detroit Rivers, and huge conveyor belts swing onto the ships for the unloading of raw materials. Tugboats that remind me of muscular bulldogs push the multi-ton freighters around as easily as a sharp knife cuts through ice cream. Cement plants have a constant stream of trucks in and out, kicking up dust that stings the face as the wind blows it directly at me while I ride by on my bicycle. Wild swamp type reeds, cattails, and other tall unknown wetland plants line the banks of the Rouge River. 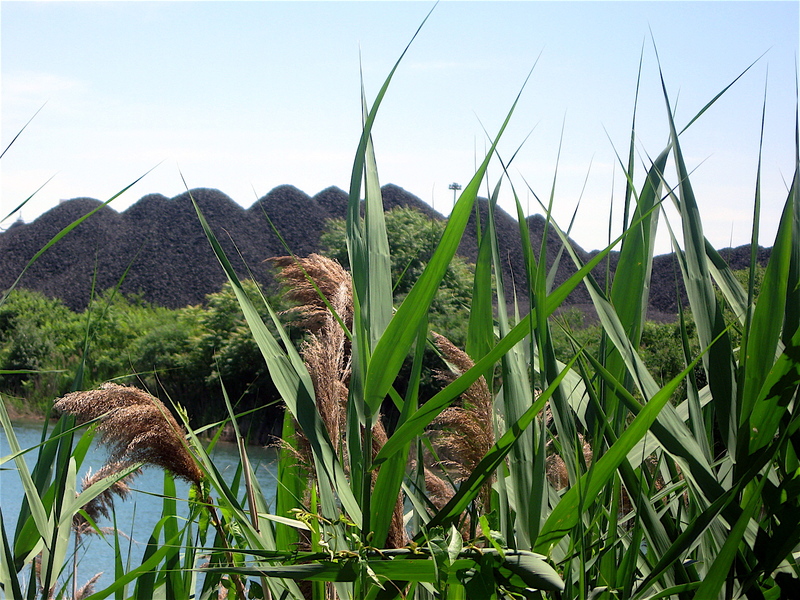 The wild plants create a pleasant green balance against the mounds of black coal, blueish tinged salt, dark-colored gravel, and other materials that are generally stacked two stories tall along the river banks. Long abandoned commercial and residential buildings sit along West Jefferson and the Rouge River. Some remind me of remote, untouched fishing cabins, waiting for people to return and carry on life as it was in the boom times of the 1940’s and 50’s. 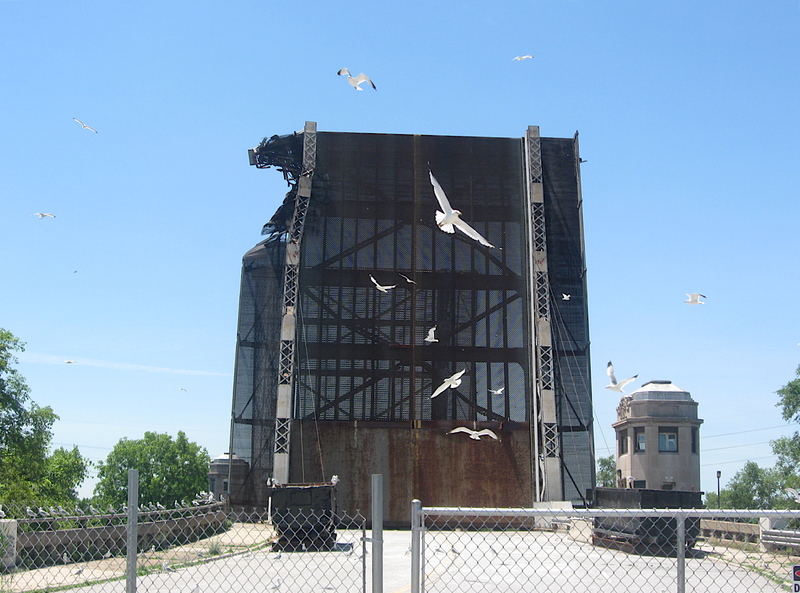 There is also the historic drawbridge on West Jefferson that crosses the Rouge River. It is straight out of the 1920’s. 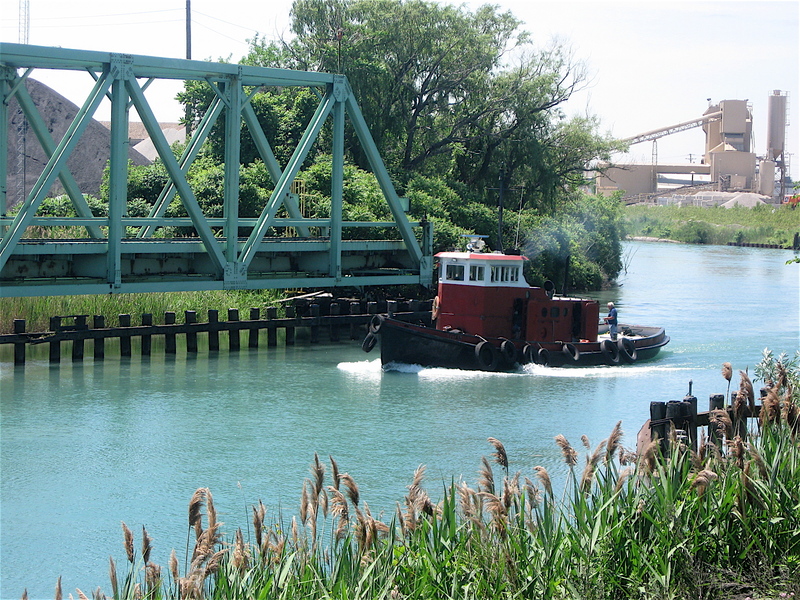 The old bridge (built-in the Art Deco style) has been closed since May of 2013 when an intoxicated bridge operator mistakenly lowered the upright bridge onto a passing freighter that was making its way slowly up the Rouge River. The old bridge now stands in an upright, open position, with obvious v-shaped damage to the top left, waiting patiently to be repaired. Yes, downriver Detroit is full of heavy industry. It’s dusty and smelly in certain sections and downright dirty in others. But the area is more that. It’s an interesting part of the city, and it’s packed with history. It’s a place where the old industrial plants once employed thousands of workers producing chemicals, steel, cars, and many other products that shipped (and still ship) around the world. 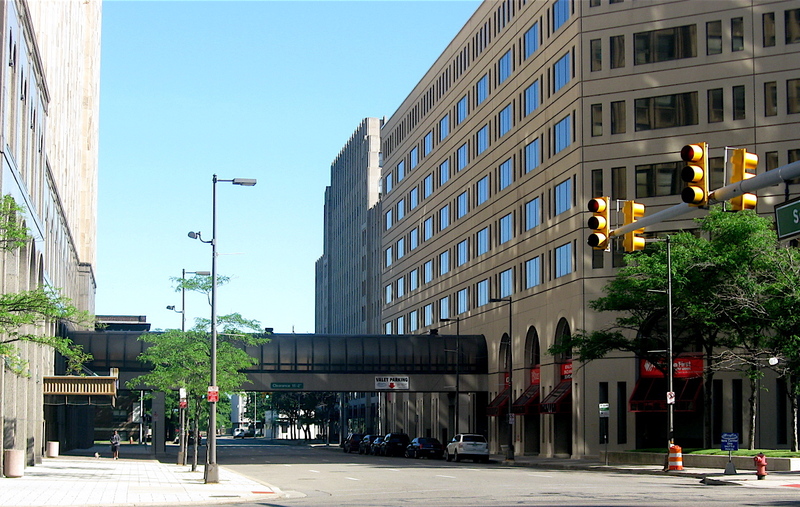 Early Sunday morning is a perfect time to ride the streets of Detroit. The multi-lane, asphalt streets and roads are virtually traffic free. Buses are few and far between, and there’s an overall calmness to the city. 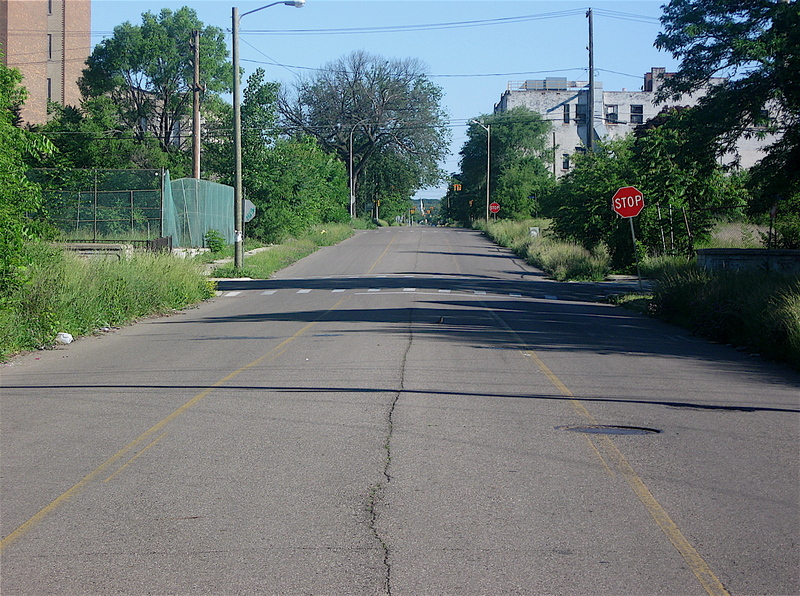 One of my favorite Sunday morning rides is going north on Second Avenue from West Grand Boulevard to Palmer Park where it ends. 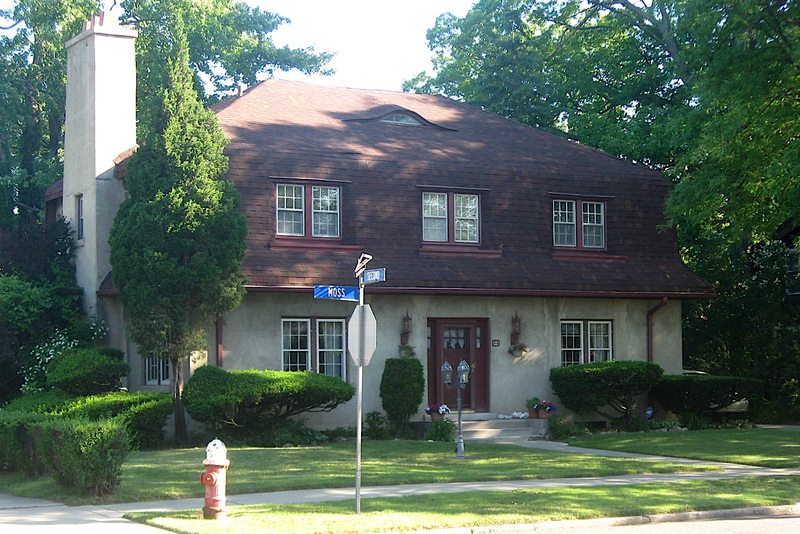 The street is one way from the Boulevard to Highland Park where it goes to a traditional two lane street. 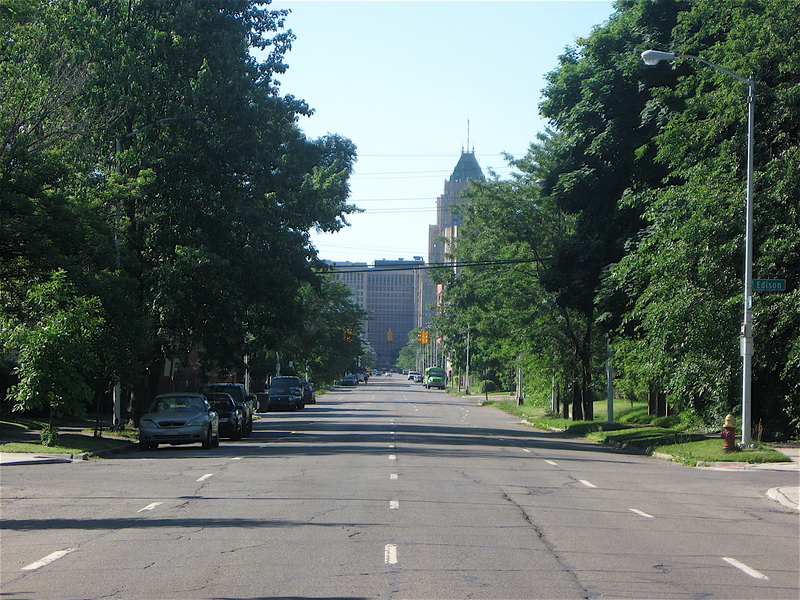 Plus, its four lanes wide to Highland Park, and unlike other streets in Detroit, it’s relatively smooth, with few potholes to deal with. This past Sunday I took this ride once again. What always amazes me about riding the northbound avenue is the lack of traffic. Knowing that it’s Sunday morning, less traffic is expected, but on this ride only one car passed while I pedaled the total length of Second Avenue north to Palmer Park! The one car that did pass was in Highland Park. The lone car was heading south as I was pedaling north. It’s hard to believe that I can ride a bicycle in a major city for about 4.5 miles and only have one car pass by! North from the Boulevard, Second Avenue runs through a variety of neighborhoods. 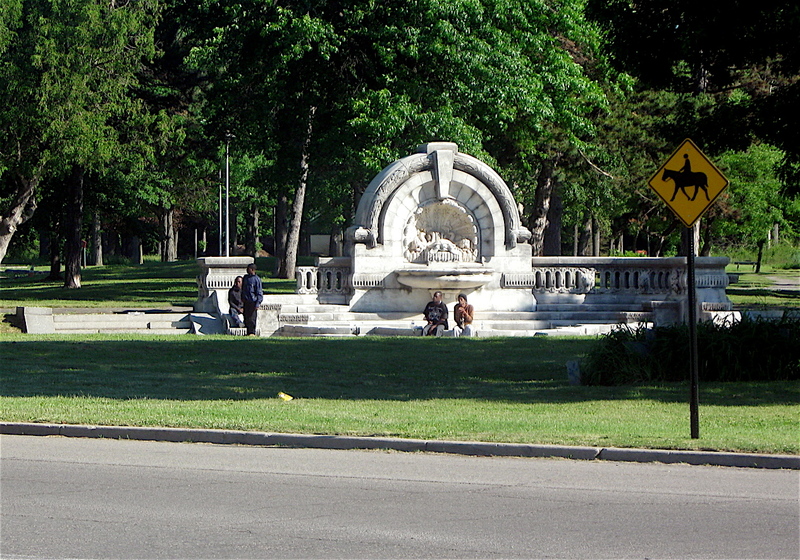 There is the iconic Historic Boston-Edison Neighborhood with their restored, large stately homes. Beyond that it’s basically smaller single family residences. A few multi-story apartment buildings line the street along some sections, especially closer to Highland Park. Some of those apartment buildings have been abandoned and are in disrepair. Despite the financial problems Highland Park (a small city surrounded by Detroit) is dealing with, there are some spectacular, well-maintained homes there. Many are easily seen from Second Avenue. One of the most fascinating things about the ride is a pedestrian subway. It passes under Second at the corner of Cortland Street in Highland Park. The little subway is now sealed and probably hasn’t been used in over 50-years. It’s hard to imagine that at one time there we so many cars jammed on the street that a subway was needed for people to cross. Pedestrian subway at the corner of Cortland St. and Second Ave. I was riding my bicycle west on McGraw Street over the weekend. On the right, just past Livernois Avenue, is an active fire station, which is not that unusual to see. 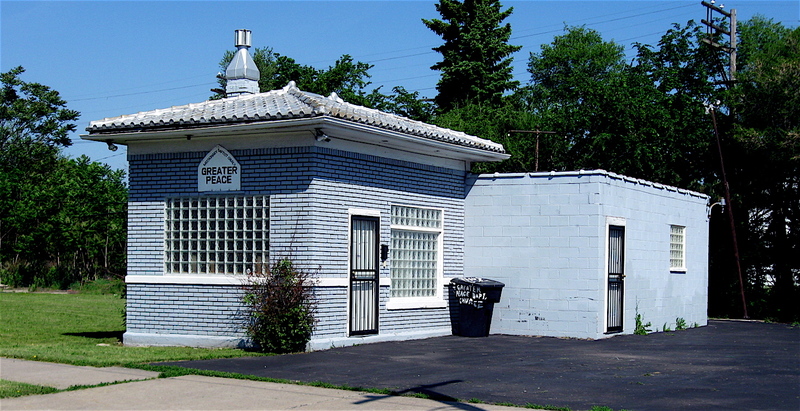 However, directly next to that station is a two-story brick building that is no longer in use. I don’t know what this old brick place was used for, but judging from the ornate medallion mounted above the door, it was a city building of some sort. It could have been a police station at onetime, or a small school perhaps. 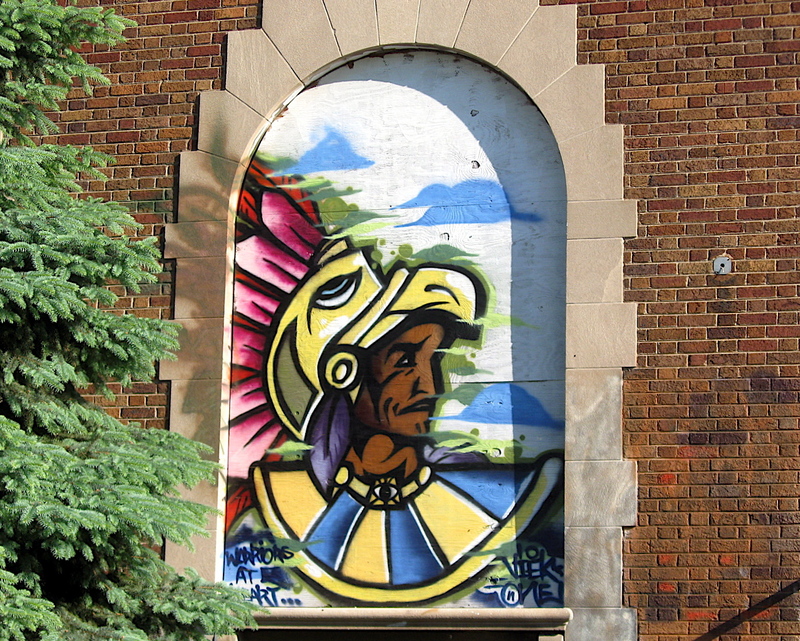 The vintage building’s windows and doorway are now boarded up and painted on the boards are a variety of colorful murals. 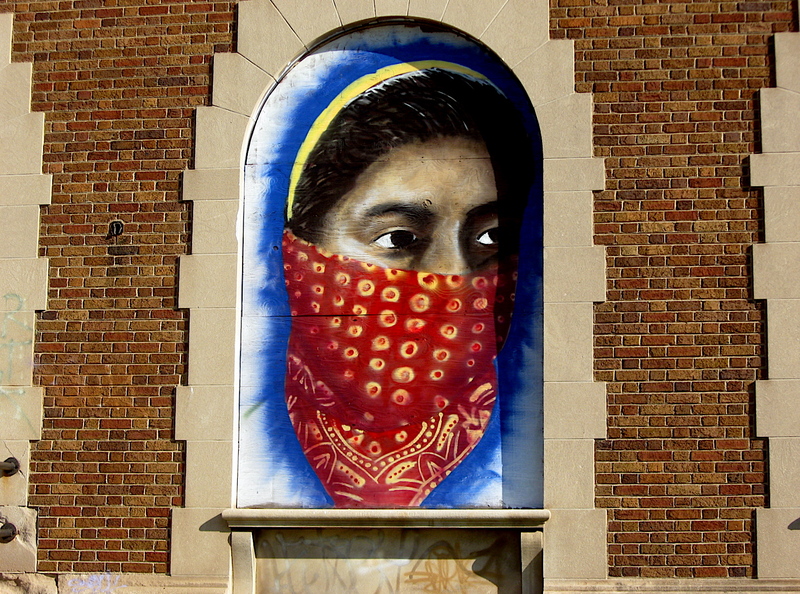 The bright paintings found on the plywood window coverings are hand painted headshots of people from an array of ethnic and historic backgrounds. On one of the boards there is a painting of an early settler that could be Detroit’s founder Antonie Cadillac. 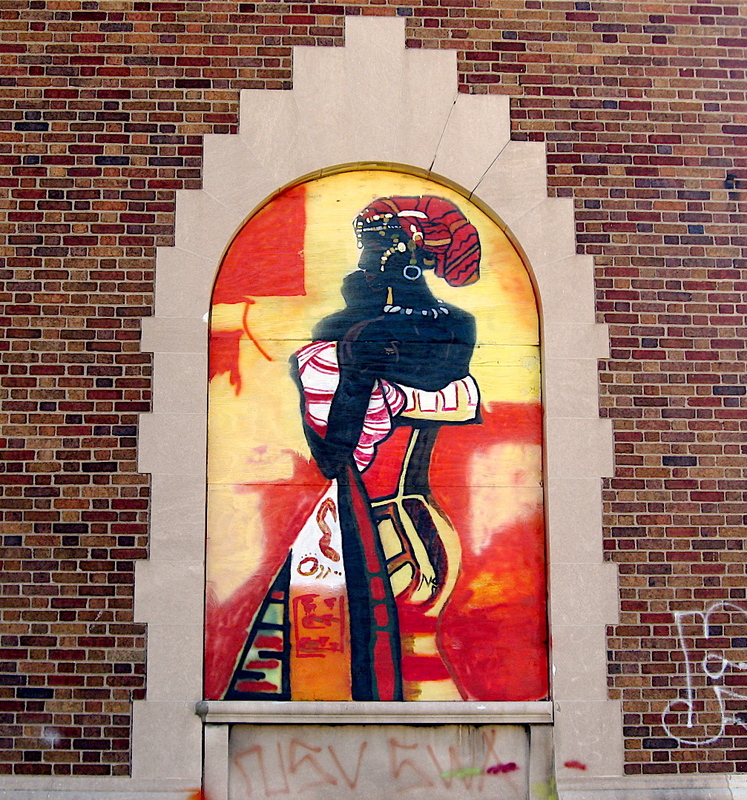 Another features a Middle Eastern woman with most of her face covered by a decorative scarf. 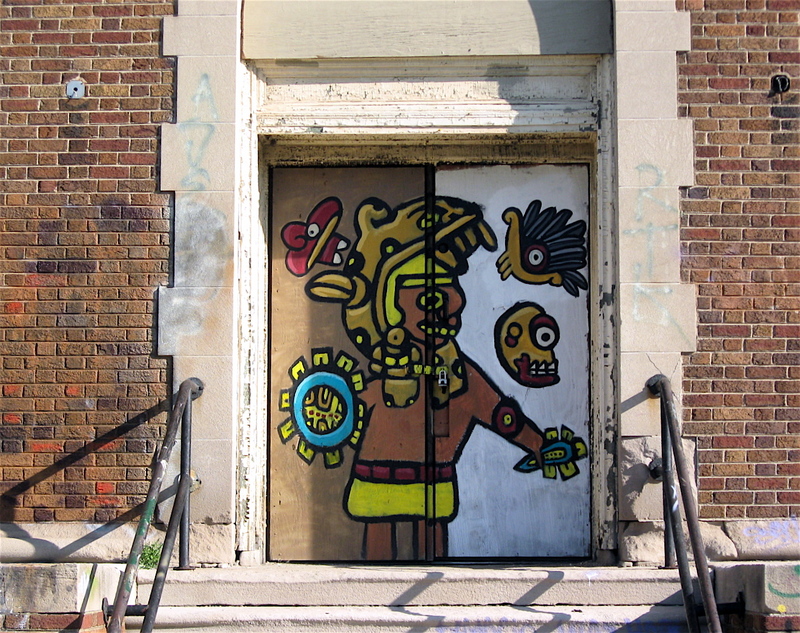 There is one painting that has the style of early Aztecs or Native Americans. 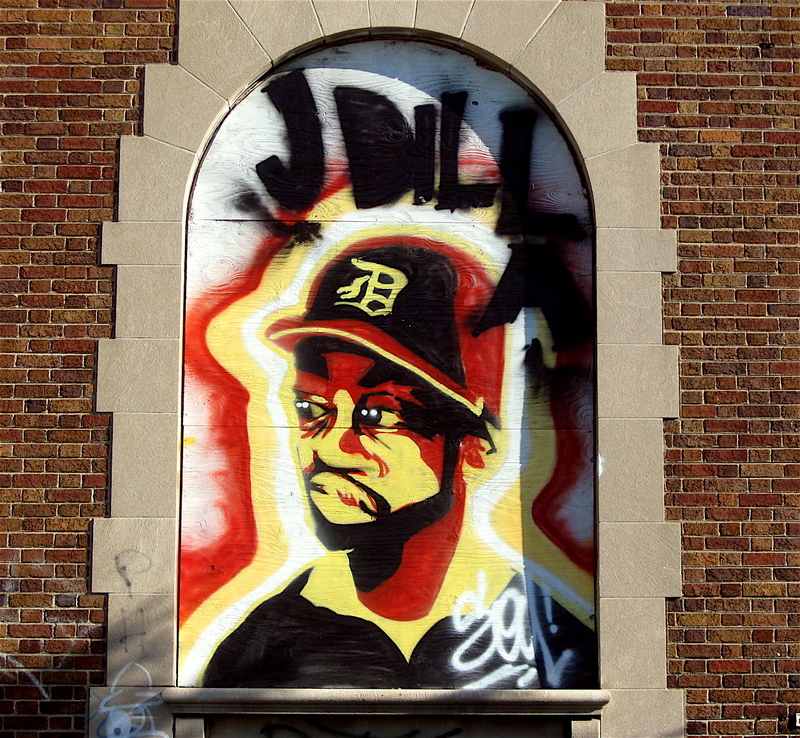 Yet another looks to be a Detroit Tiger baseball player, with a featureless face that could be any player on the team past or present. I see plenty of painted window coverings on my rides throughout the city. However these six covered windows and single doorway (with decorative arched brickwork) are quite cool. 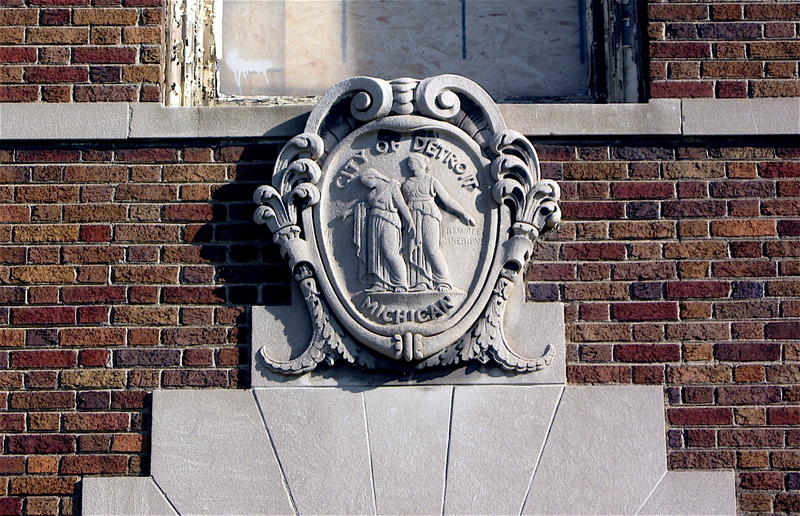 They seem to represent the city’s vast cultural heritage and Detroit’s 300 plus years of history. There’s a small, silver-colored church on Detroit’s eastside. It’s housed in a simple square building with a cinder block addition that was added over time. 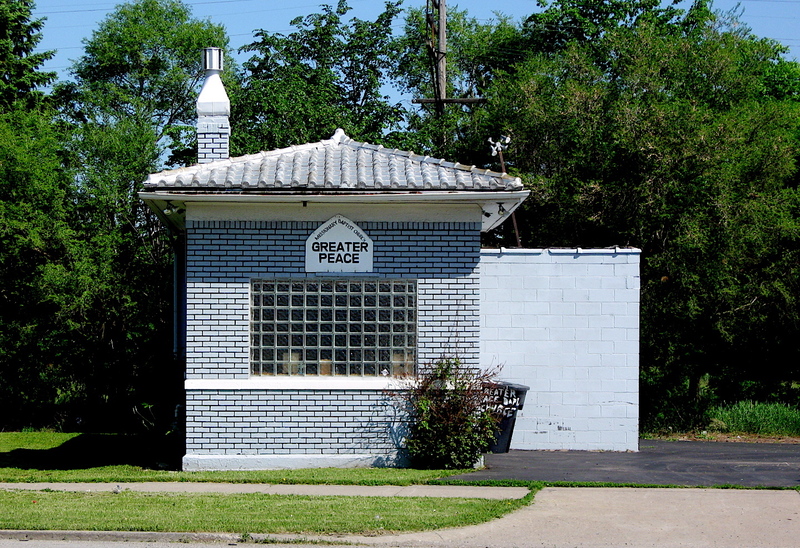 Based on the old tile roof, the brickwork, and its location on a sidestreet that ends at Mack Avenue, I’m thinking it was originally built as a gas station, probably in the 1930s or 40s. I’ve ridden my bicycle past the small, unassuming place for many years, and for as long as I can remember it’s always been used as a church. What’s interesting to me about the little building on Mack is that it seems to never change. The small silver church and the surrounding grounds have always been well maintained. 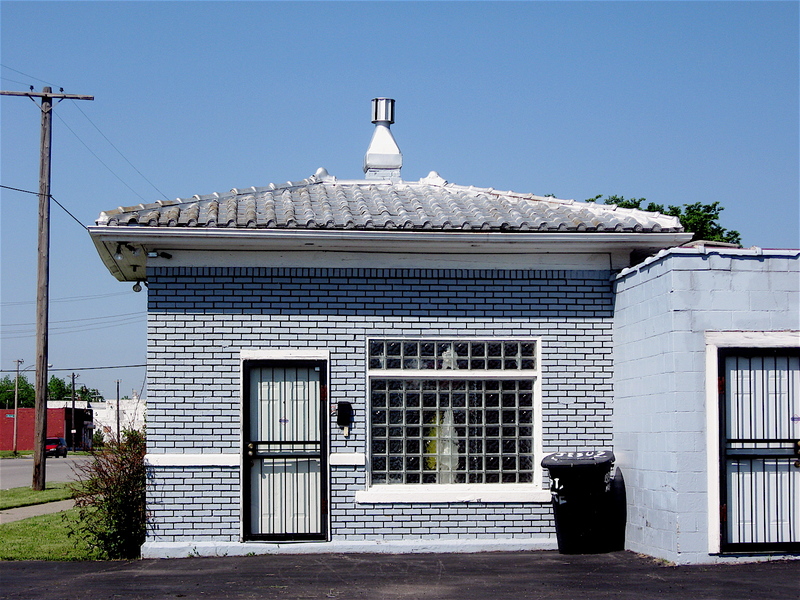 The tiled roof, with its shiny tin colored silver paint and the building’s matching brick walls, always look fresh. As if it was painted yesterday. I never see any activity as I pass by, no matter the day of week or the time of day. There’s never anyone painting the walls, cleaning the surround small parking lot, or trimming the grass along the street or next to the place. It appears as if time has stopped and is now stuck on this small building. Because of its bright metallic, silvery color, the place seems to glow in the sunlight, much like white ashes on a dying fire, barely hanging onto its meager existence.